How did Josh start working at Buckeye Entertainment? Josh became friends with Byron over several years at the Buckeye Entertainment karaoke show and eventually started helping with equipment at weddings. 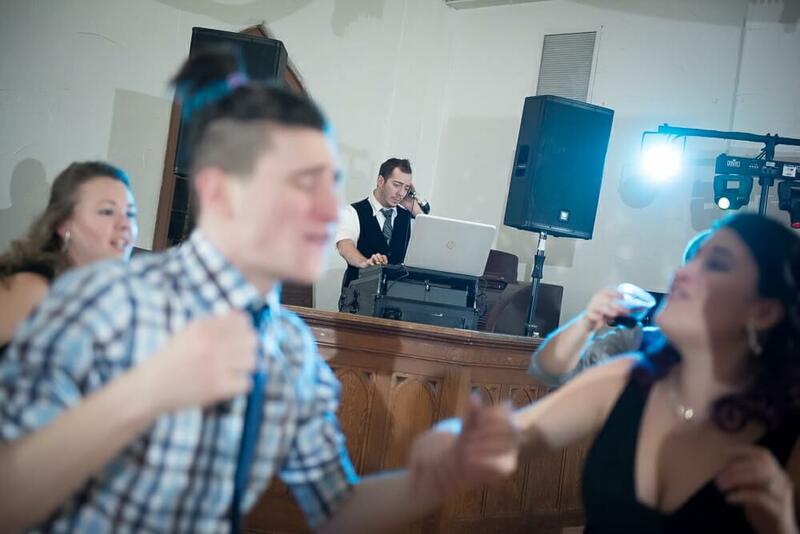 Business was booming and Byron needed to focus on growing the company so Josh took over the show, with fellow DJ Stephen, while continuing to learn more about the wedding industry. After a year or so, he was doing his own weddings. Josh now works for Buckeye Entertainment full time, managing the office during the week and as a DJ on the weekend. Who is Josh? And why the odd tie? Because it’s classy! A third generation Italian, Josh grew up in Ohio with a love of cooking and a strong appreciation for old world charm. He graduated from the College of Wooster with a degree in Classical Studies with a focus in Archaeology, being more concerned about learning interesting things than finding practical employment with them. He’s known around the office as “Fancy” Josh for his tendency to carry a pocket watch. That’s pretty cool! How does he feel about weddings? Want Josh to make yours a day to remember? Contact us today!